An interfaith program that prepares meals for the homeless is celebrating its one-year anniversary. 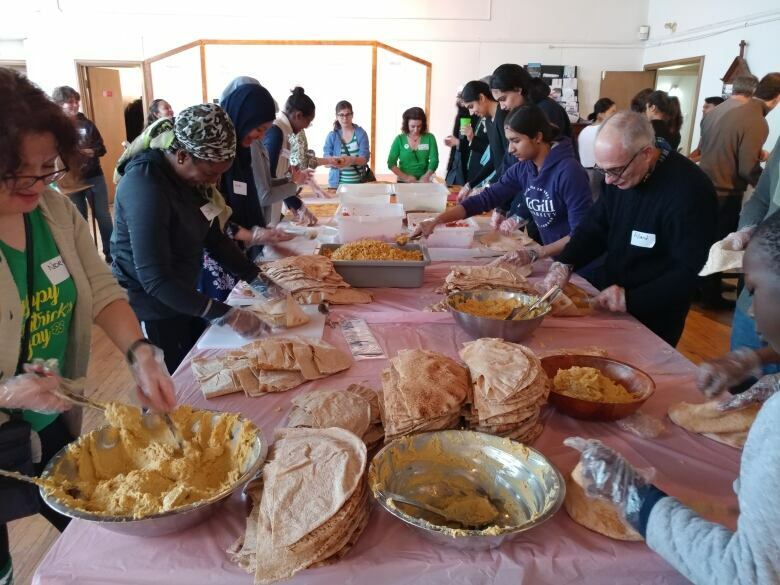 On the third Saturday of every month, members of St. George's Anglican Church and PEACE Initiatives Canada meet in Little Burgundy to fill brown paper bags with homemade shawarma, oranges and bottles of water. Then the volunteers walk around the downtown core, handing out meals to the city's homeless. It's an initiative that was born out of a shared desire to do something good and foster an interfaith connection, said Rev. Steven Mackison. His description of the early interactions between the two faith groups conjures images of a nervous first date. The congregation of St. George's invited members of the PEACE Initiatives Canada, a Muslim-led non-profit charity, over for a get-together. "We met for the first time here, all on pins and needles, trying to be our best and most polite possible selves," he said, "And it went very well." PEACE Initiatives Canada reciprocated, hosting the Anglican worshippers. By pure happenstance, it was the same day as the Quebec City mosque shooting that killed six men. "Despite that tragedy, it actually galvanized our sense of mission and ministry in the importance of doing this project," said Mackison. "To show the world that hate and intolerance will not overshadow our mutual desire to work together as two faith communities." 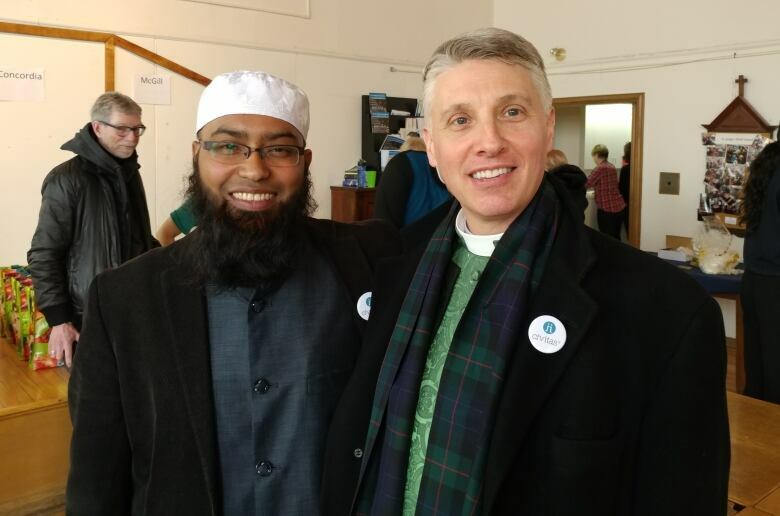 Musabbir Alam, Imam at Imami Community Centre, recalled that the day after the shooting, Rev. Mackison reached out with a letter of sympathy. "It was something very emotional for us, but knowing they had our back, and we are not in this alone, even though we are from different faith communities ... It was something very important, and it gave us the hope that we could do [things] together, and actually work together to make changes in our community," said Alam. 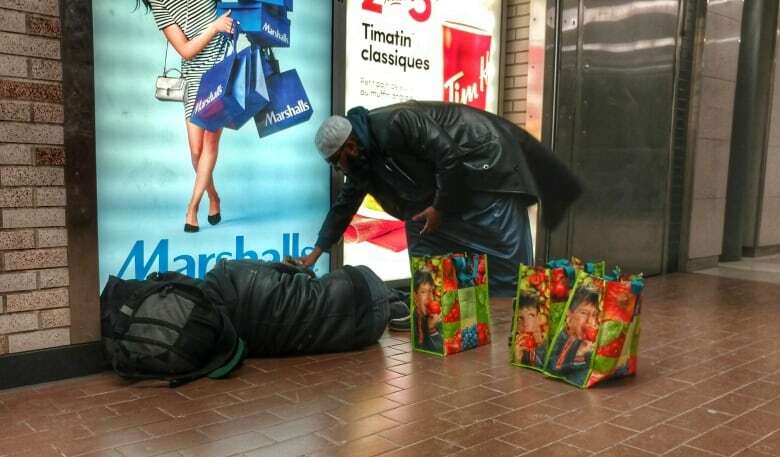 On the one year anniversary of the collaborative program, called Meals to the Street, Alam said that they he feels the united effort has done a great deal of good. Over the last year, they've prepared about 3,000 shawarmas. 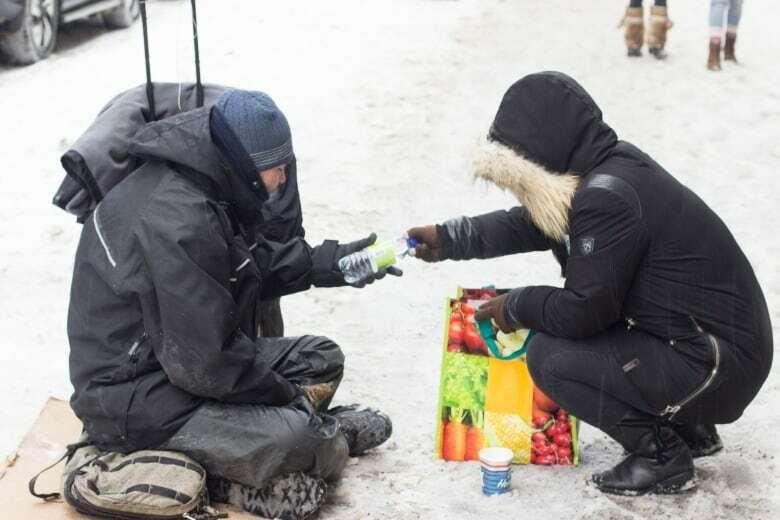 "To see all these people — we have about 50 volunteers coming and making all the sandwiches and going on the street — it's a wonderful experience," said Alam. 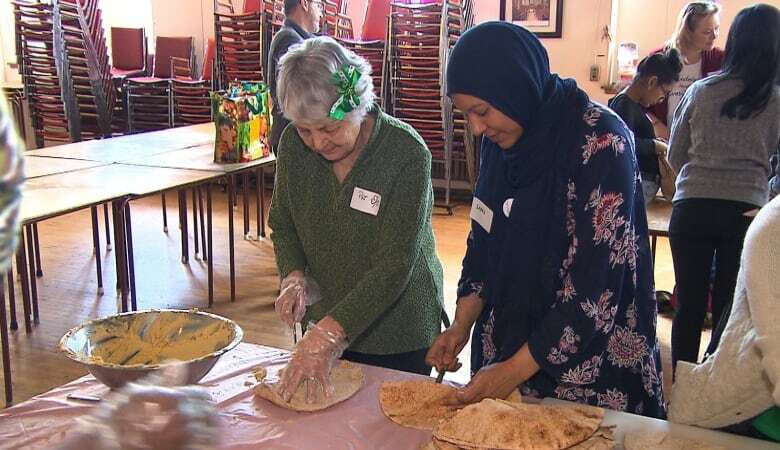 During the monthly food preparation and delivery sessions, where volunteers cut vegetables, shred chicken and wrap shawarmas, people from both communities are able to work together and even strike up a friendship. Sarah Faye and Patricia Hamilton have been volunteering with the Meals to the Streets program since day one. "I think we got to know each other over either shredding chicken or chopping tomatoes," joked Hamilton. "Because the production line is there, and you just end up talking and finding out about people. It's great fun." Hamilton said in her daily life, she doesn't meet many people from the Muslim community and that getting to know Faye has been a real pleasure. Faye, for her part, agrees wholeheartedly. "Actually, that's one of my favourite parts too. Because I can meet people I do not meet in my everyday life. And then we get to know each other and know that we are just the same."